Government wins vote on tuition fees Jump to media player The government has narrowly won a vote in the House of Commons to raise tuition fees to a maximum of £9,000 per year. Mounted police charge at protesters Jump to media player Police horses have charged at student protesters demonstrating over plans to raise tuition fees. 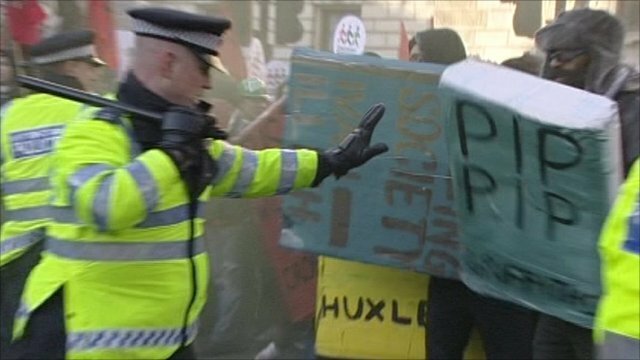 Student protesters clash with police Jump to media player Thousands of demonstrators are clashing with police in Westminster as MPs debate plans to raise tuition fees in England to £9,000 a year. 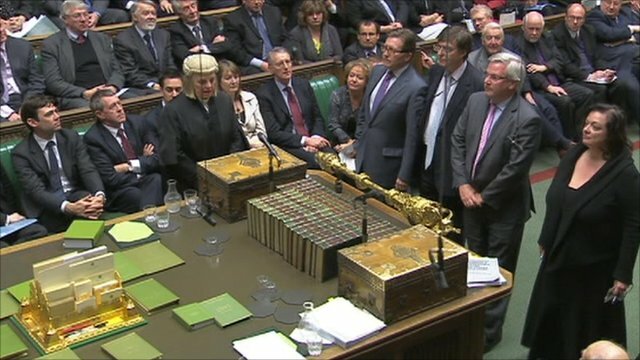 The government has narrowly won a vote in the House of Commons to raise tuition fees to a maximum of £9,000 per year. The result of the ballot was 323 in favour of raising fees and 302 against. Police had earlier clashed with protesters demonstrating against the plans. 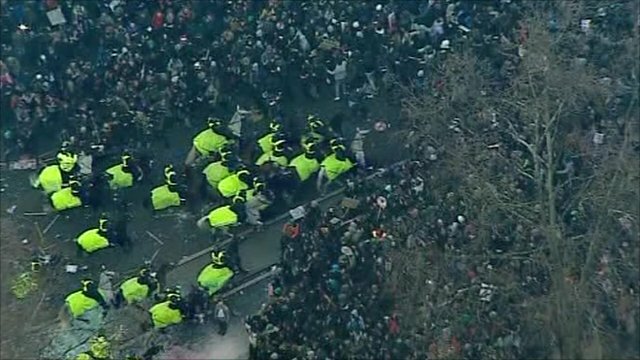 At one point police on horseback charged at the crowds in order to disperse them.